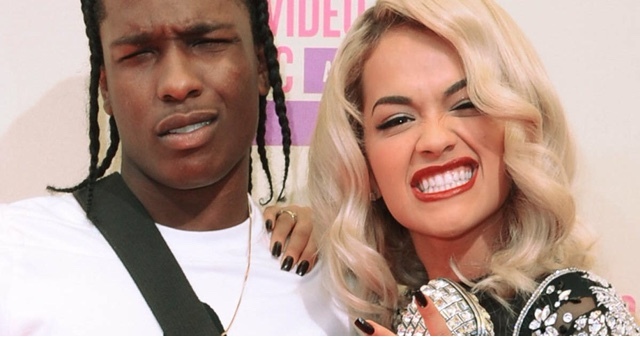 While the world is still gagging at A$AP Rocky harsh lyrics towards Rita Ora on his "Better Things" record, the Harlem rapper is finally explaining why he went for the jugular in a recent radio interview. "For me, she got me into a lot of trouble when I was dealing with her. "I’m not saying she is a terrible person, I’m just saying when I was in a relationship and I did things with her that I wasn’t supposed to do, she had a big mouth." He told the host. "Honestly, the song is really old, I felt it was such a good song I just didn’t take it off. It would have been really tasteful for me to mute that part, but it is what it is and it’s out now." "To all the Rita Ora fans and to Rita Ora herself, keep going, you’re still beautiful baby girl, but next time, keep your mouth shut and I’ll do the same!" Skip to the 2:00 minute mark to here A$AP rapping about "jizzing" in the singers mouth, right before kicking her out! The lyrics are beyond harsh and shocked many due to the fact there's been no reports of a relationship. We are guessing the woman who Rita spilled the beans to was model Chanel Iman.